His debut was very electrifying. 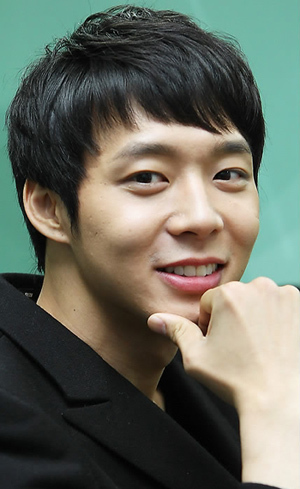 He gained huge popularity not as a member of Asia’s popular idol group JYJ, which consists of three of the former Dong Bang Shin Ki members, but as actor Park Yoo Chun. His debut drama was “Sungkyunkwan Scandal,” and now he can simultaneously chase two goals of singing and acting. He seems to be following after popular singers such as Jeong Ji Hoon (Rain) and Lee Seung Ki, who has been highly acknowledged as an actor as well. The reporter met Park Yoo Chun, who had reportedly been laid up with fatigue for two days after finishing the drama, at the office of JVJ on November 5. Instead of the mature and cold Confucian student Lee Sun Joon, who emphasized courtesy and principles, rookie actor Park Yoo Chun told a long story about himself while maintaining a bright smile on his face. 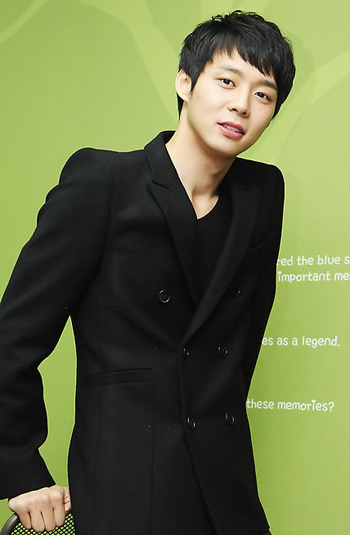 But Park Yoo Chun in his story sounded so dogged and firm, and it seemed that his firm and ceaseless effort during the filming of the drama might be the reason he could gain this fervent popularity at this moment. Question: The Hanbok fit you nicely. Do you usually wear a Hanbok? ▲ Not at all. I do not wear a Hanbok even during the national holidays. But I felt good because I could fortunately hear that the Hanbok fit me nicely. I did not have any fear about wearing a topknot and Hanbok, rather I felt that it might be better for me to distinguish my new appearance as an actor from my previous appearance as a singer. In the first shoot, I had scenes in which I usually took a walk without any lines simply to hide my inexperienced acting, but people who saw my scenes in the first episode said that I looked just like a classical scholar, so I felt very good. But I actually felt distressed about acting after hearing this good evaluation, saying my appearance looked well-matched to the drama. My mother once paid a sudden visit to the set and she was reportedly so surprised to see my appearance after the makeup because I looked like a different person and also looked very nice in costume. Question: A long script for a historical drama might have been very difficult for you. How was it? ▲ Yes, it was very difficult. The director had told me that I did not need to speak my lines with a tone for a traditional history drama since our drama was a fusion historical drama, but I was continuously conscious of the particular voice tone for a historical drama due to my preconception about the historical drama genre. Even though I had gone through a hard time due to my tone of voice when speaking lines, I tried to memorize the whole script since I thought that I should. I heard people’s advice in the beginning saying that I might come to beg for even two hours of sleep in the end due to the stress over memorizing lines, and it actually happened in the end, but I tried my best not to make mistakes coming from not memorizing my lines. Question: You had shown gradually better acting as the episodes went on in your debut drama, even in the situation where you also had to perform concerts as a member of JYJ. ▲ I had been taken to the hospital twice due to the terribly tight schedule, and that is when I learned that actors were taking great pains to do their jobs. When I had spare time, I had to choose to sleep rather than to eat and actually I could not eat very well due to the stress coming from my anxiety about acting. I ate snacks not to suffer from indigestion, so I ended up losing almost ten kilograms. I should have slept while moving, but I had to memorize the script instead; what was worse, I also had to perform on the stage as a singer. I was in a tight situation, so I could not think about anything else but acting and I came to concentrate more on my script only. Even though many people came to the set, I could not see them because I had to look at the script. At the end of the drama, I really could not find time for participating in the drama shooting, so I put more effort in practicing acting. I had to go out for concerts, so I prepared much more for acting because I thought that I might feel sorry even more for the other actors if I made a mistake during filming. I sometimes heard other actors’ saying “Your acting looked better than before,” but actually I could not afford to enjoy people’s praise at all. Question: What do you think about acting now that you have done it? ▲ I really enjoyed it. I definitely found it exciting and I felt more desire toward acting. I got a lot of help from actor Kim Kap Soo, who played my father in the drama, by seeing his good acting and taking acting lessons from him. Sometimes, I got goose bumps while acting together with him. He had a powerful force in his acting, and I think that I could present unexpected good acting sometimes thanks to his harmony. I really want to become an actor like Kim Kap Soo and Kim Yoon Seok. Question: The scene in which you confessed your homosexuality on the street was outstanding. Many people who had seen your tearful acting were surprised a lot. ▲ When we filmed the scene, we really did not have much time for filming. The schedule was so tight that we might not be able to film any scene again even though there was a mistake. Many people were watching the set when we filmed the scene in the folk village located in Yongin, but I thought that I had to film the scene in only one take without any mistake. Fortunately I could film the scene after making only one mistake. I made a mistake because I cried too much. Actually, I felt really great about my tears that were automatically coming from my eyes (laugh). I used to feel curious about actors who can cry while acting on the set with no background music. I had thought, “How can they cry that well, does somebody play sad music for them?” But I found out that I could cry when I was immersed in emotion. After that, I could have a kind of confidence about crying or any scene requiring emotion. Question: When was the happiest moment for the character Lee Sun Joon and for you as an actor? And what did you agonize about? ▲ I found out later when I looked into the script again after finishing the drama that the happiest moment for Lee Sun Joon was when his father congratulated him for his entrance to Sungkyunkwan. And I felt good while acting, thinking, “I might be able to try to act again from now on.” Also, I felt sorry that I could not play the character Lee Sun Joon — who had a huge ambition, enough to go down in history — very well maybe because I was not that good at acting. I should have shown the progress of how the cold character in the beginning became a warm human in the end, but I felt bad because the same character from the beginning seemed to be exposed again in the end due to my inexperienced acting. Question: The last episode has aroused controversy. ▲ Yes, it is true that it should have been extended by adding more episodes, not to finish the story in a hurry. Personally, I wanted it to avoid the happy ending because many gloomy topics had been developed at the end, so I thought that it would be better if the drama finished with a sad ending. But after I received the script for the last episode, I changed my thought to show something in the last episode. If there were no comical setting in the end, I could have felt something was lacking. 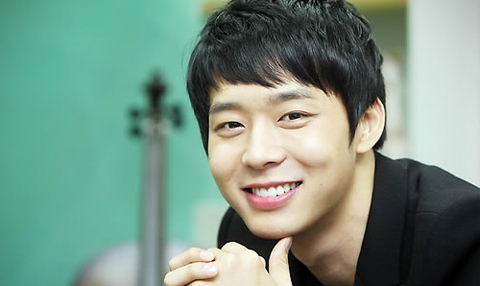 Question: Women in their thirties and forties, who had no idea about Micky Yoochun, have become your fans. What do you think? ▲ I also heard that. I do not know why it had happened (laugh). When I filmed the drama on the set in Yongin, an old woman recognized me as “Lee Sun Joon,” and she was glad to see me. Her family members also told me that she felt excited to see me. Maybe it was because the drama was about a story in the past. Anyway, I really appreciated it. Question: From when have you wanted to become an actor? ▲ I have wanted to act from the time when I had actively performed as a member of the group Dong Bang Shin Ki after releasing our second album. And I could confirm what I had thought at that time by acting in this drama. I had the thought that actors could become various characters within many different works, so they might be able to express themselves in many ways and come to feel free from restrained feelings, and actually I could release my stress more by acting rather than feeling distressed from acting at this time. I felt good when I played Lee Sun Joon because he was a character who directly pointed out anything wrong from the beginning, which was totally different from me, who usually restrains my feelings until the last moment, when I cannot endure it any more. Action scenes were also very helpful for releasing stress. Question: Many people have spoken highly of your humble attitude as if you were a completely rookie actor even though you are actually a star singer. ▲ When I went to Japan to advance into the Japanese music industry, I had become a rookie singer again. At that moment, I realized that everybody, whether he or she is popular or not, are all human beings and people should not show off their popularity even though they have gained huge popularity from the public because we are all the same as human beings. In addition, I thought that I should behave as a rookie actor because actually I was. 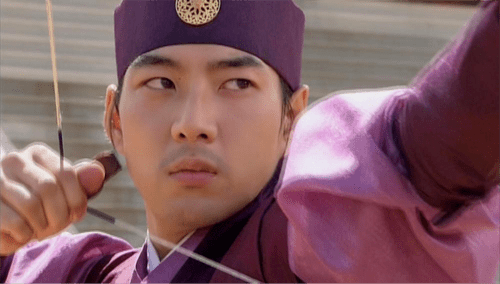 Question: Lee Sun Joon in the drama agonized about the future of Joseon Dynasty. What do you agonize about? ▲ Actually, I am very much worried about my father who is hospitalized these days due to an illness. I had felt sorry that I could not visit him often while filming the drama. In addition, I want to become a person whom my close friends and people right next to me can respect. I want to be sincerely respected by close people. If I could not take care of people around me enough due to busy schedule up until now, I will take care of them with my true heart from this moment. Then I think that I might become a better person.